Hubble has discovered the largest known population of globular star clusters in the universe thus far. It may not seem like it at first but the photo shows 160,000 star clusters! To give you some perspective our Milky Way galaxy has about 150 star clusters. What does observing star clusters do for us exactly? 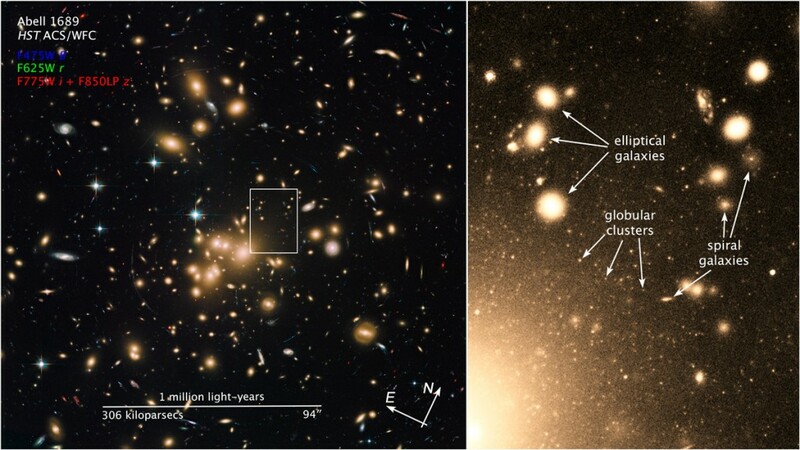 Well studying globular star clusters helps astronomers understand the formation of galaxies. Not only that but it also leaves clues of how much dark matter these clusters hold. Globular clusters actually formed in the first 1-2 billion years after the Big Bang. This system that you are looking at right now is located 2.25 billion light-years away! It’s hard to imagine that distance but it holds the record of farthest system observed by Hubble. 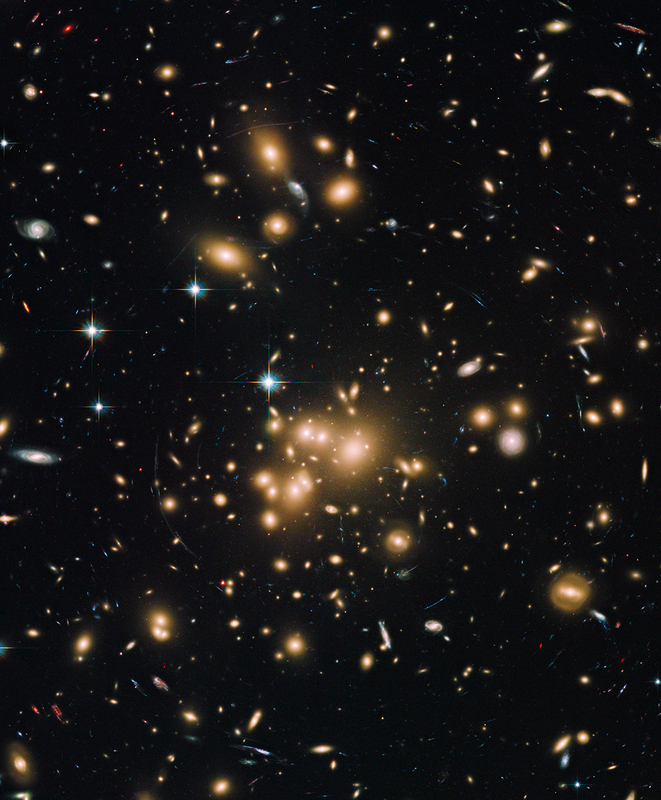 Now how do these scientists know how much dark matter is around? Well according to Karla Alamo-Martinez of the Center for Radio Astronomy and Astrophysics of the National Autonomous University of Mexico in Morelia, studying this system Abell 1689 they show the relationship between the globular star clusters and the distance from their galaxies center. Basically if you know how many globular clusters there are with a certain distance you can estimate the amount of dark matter. Hubble showed that the globular clusters formed near the galaxies center which indicates there is a deep well of dark matter. For more information check out the full press release here.